Hot on the heels of the impressive i30, comes Hyundai’s i10 latest offering, the i10 small but perfectly formed.It is hoped that this new A-segment car will double the company’s sales in this sector and, if initial demand is anything to go by, it is a goal that will be easily achieved. There are plenty of other 5-door, city cars on the market, so what makes this one so different? The answer is, no one particular thing, it is the whole package, starting with the looks. 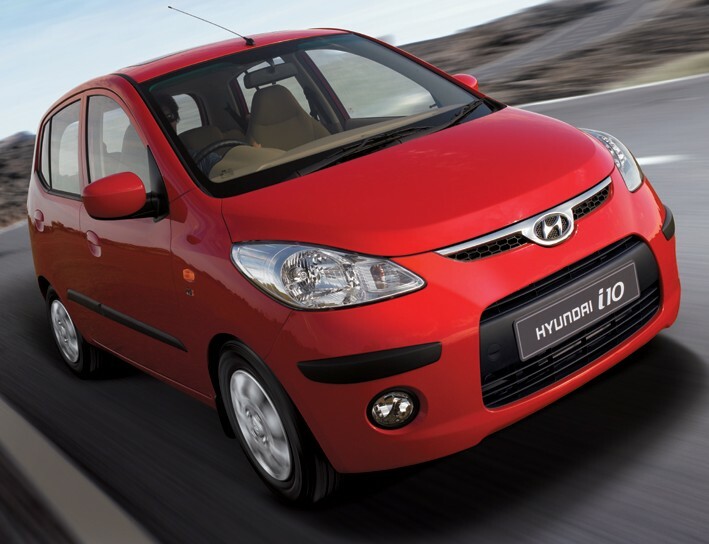 I was recently told that its cute and curvy shape has given rise to the i10 being dubbed the Jelly Tot. Hyundai prefers to say that it has ‘proper grown-up looks’ and also tells us that the ‘i’ prefix will be applied to the rest of the models as they are replaced and updated. The next one on the list is the i20, which will be launched later in the year. Anyway, the looks are certainly a selling point. A friend was clearly taken with the appearance, eagerly asking what it was, what it was like and how much? The short answer is, it’s a Hyundai i10, it’s a great car to drive, it’s whizzy but economical and it costs £6,495. However, I feel that it deserves more explanation than that. Prices do indeed start at £6,495 for the i10 Classic, the Comfort is £7,095, the Style costs £7,595 and the Comfort Auto, £7,895. The i10 is clearly built to a price but in no way does it feel cheap and there is little skimping on the specification. In fact, Hyundai make much of the fact that every model in its range now has air-conditioning as standard. So, starting with the Classic, test car, you get ABS with EBD, electric front windows, central locking (without a ‘blipper’), front and side airbags, tinted glass and a stereo CD/MP3/radio with an ‘AUX’ port and six speakers. Comfort adds power for the rear windows, remote central locking, front foglights, electric door mirrors, height-adjustment for the driver’s seat, a power outlet and an under-floor storage box.